With summer hitting us earlier than expected this year our training programs for that beach body have been brought forward! The trick with being healthy and looking good is knowing that you are losing fat without losing muscle mass. So at what point does the number on the scales become irrelevant? There are 5 common ways that we can measure our body fat. But how accurate are they? The caliper skin test is essentially a pinch test with a millimeter measurement. This measurement is literally “grab your skin” and measure how much fat there is. They can be accurate for that area but it is difficult to ensure that you re-measure the exact same spot after a few weeks of training to check your progress. This test cannot be used for those who are considered overweight or obese because the caliper will literally not be able to grab all the excess skin/fat. It is, however, a good “at home” tool to use as a general idea on how you’re going. BIA is based on body water balance and is essentially like stepping on a set of scales that has the extra capabilities of determining the electrical current through your body. As muscle has a different density to fat they are able to give an estimation of total body fat. This tool is inexpensive but has also been deemed inaccurate as it is so highly dependent on your level of hydration that your results can vary vastly day to day. Using a measuring tape take calculations for the circumference of your neck, waist, hips and height and by plugging the information in to a special calculator, which you can find through google, you will have a BMI figure to work with! You have to be careful to make sure that when you reevaluate in a months’ time that you use the exact same location because otherwise it will throw the data out. So the biggest problem here is human error/accuracy but it’s super simple to do! This method has been the “gold standard” of body fat measurement up until recently. This method is based on densities of fat and lean muscle being greater than the density of water. Therefore someone submerged in water is able to measure their fat/muscle densities by doing some simple calculations related to their weight on land. Furthermore you need to do a test prior whereby you measure your weight once you have expelled all the air from your lungs (to make the measurement more accurate). The problems with this method are that they are difficult (not easily accessible) and expensive to do, but it is deemed to be accurate within 1.5% error margin. The new “Gold Standard” in body fat measurement! 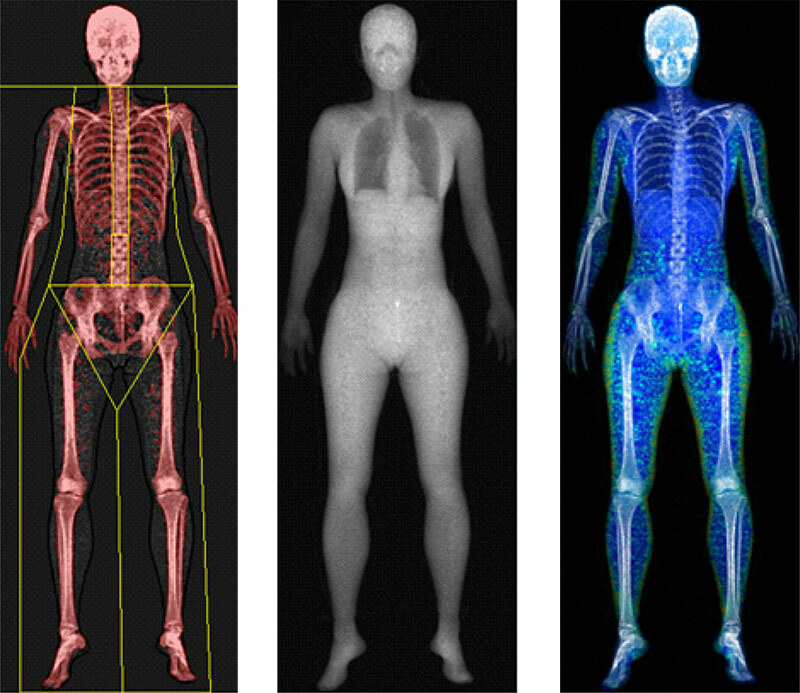 Based on the differing densities of bone, fat and lean muscle the Dual Energy X-ray Absorptiometry enables you to see the breakdown of body composition by area. This method involves 2 very low x-ray beams passing through the body in a 5minute scan. Until recently this method has been expensive, but now you are able to have a scan for only $85 at Body Measure in Crows Nest on Sydney’s Lower North Shore! Known to be 99% accurate, fast, safe, easy, and affordable we recommend this as the best method of calculating your body composition and then being able to easily re-check it with certainty 4-8wks later. By far the most accurate way to know your body fat percentage, actual weight of lean tissue mass and fat mass is by getting a Dexa scan at Body Measure, Crows Nest, in Sydney’s lower north shore! The bonus is that you will also get your bone density measured at the same time.